Those who regularly visit this blog likely know that I’ve become slightly crazy about Danielle Paige’s Dorothy Must Die series this past year. (For those who are new here, this series recounts what happens when Dorothy returns to Oz.) Well, my obsession has only gotten worse, and the latest novella in the series, Heart of Tin, is to blame. For those who are new to this series, I highly recommend you read the following stories before proceeding with this post. There could be spoilers ahead, and I really don’t want to ruin this wonderful series for you. Now, let’s move on to this latest story, shall we? Oz has been rather quiet of late. The Tin Woodman rules over the Winkies and rarely visits the Emerald City anymore. Why would he? Not long after Dorothy and the Wizard left, Ozma, the true heir to the throne of Oz, returned to claim her rightful place, and the Scarecrow, Lion, and Tin Woodman were left to their own devices. But the Tin Woodman just received startling news that changes everything, and his quiet life with the Winkies is coming to an end. The Tin Woodman’s heart immediately tries to beat out of his chest. His Dorothy is back, and he finally has the opportunity to show her how much he loves her. He just knows she’ll return his feelings and want to make a life with him. He dashes off to the Emerald City to see his sweet Dorothy, but his welcome is not quite as warm as he would have hoped. Dorothy is not the darling girl she once was. She’s grown up quite a bit, and, with Glinda at her side, she’s learned to harness the magic of Oz. The Tin Woodman isn’t sure that Glinda (or the Scarecrow) have Dorothy’s best interests at heart, but he’ll do whatever he can show Dorothy–and all of Oz–just what she means to him…even if it means allowing others to twist and manipulate his precious heart. The Tin Woodman, in his quest to prove himself to Dorothy and ensure her protection from potential enemies, turns his heart–and the Winkies–over to Glinda and the Scarecrow, and he becomes someone capable of unspeakable acts…all in the name of of “love” for a girl who is using his obvious feelings to further her own wicked agenda. So, the previous stories in this series have made me despise Dorothy, Glinda, the Scarecrow, the Lion, and the Tin Woodman. 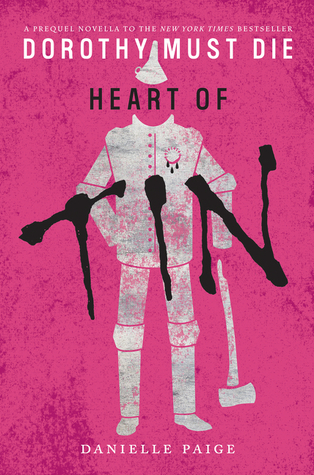 Well, Heart of Tin didn’t eradicate my negative feelings about the Tin Woodman, but it did change things a little. I now pity him. Glinda and the Scarecrow–both of whom are nothing short of evil–use his love for Dorothy to turn him into a monster. Yes, Dorothy is partly responsible as well, but I think she’s also being manipulated, particularly by Glinda. At any rate, the Tin Woodman is, on some level, a victim here. He reasons that something’s not quite right about Dorothy’s rise to power, Glinda’s involvement, and the Scarecrow’s creepy experiments, but he’s blinded by what he thinks is love, and others use that weakness against him. No, I’m not claiming love is weakness–at least I don’t think I am–but I am saying that the Tin Woodman’s unrequited, obvious longing for Dorothy allowed others to use him for their own nefarious purposes. Will that continue to be the case in future stories? I have no idea, but I am eager to find out. The next short story in this wickedly fabulous series is, according to Goodreads, supposed to come out on November 10th. I’m not sure how true that is, what the title will be, or who it will be about. (That’s not very helpful, is it?) 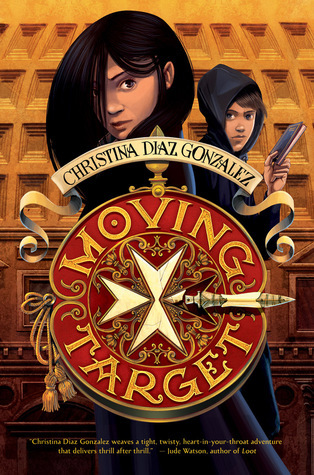 The next full-length novel should be out in March of 2016 (maybe?). Goodreads has a little information on this one, but there’s no cover or title available yet. I’m on pins and needles here! I need the info! If Heart of Tin and the entire Dorothy Must Die series sound like your cup of tea and you’d like to learn more, you can connect with the wonderful Danielle Paige on her website, Twitter, Goodreads, and Facebook. I love this woman’s work, and I can hardly wait for more! This entry was posted in books and tagged Dorothy Gale, fantasy, love, magic, obsession, Oz, power, Tin Man, witches, young adult.